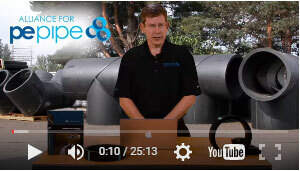 The Alliance for PE Pipe is devoted to sharing the features and benefits of smooth walled pressure pipe to benefit the municipal water and wastewater industry. 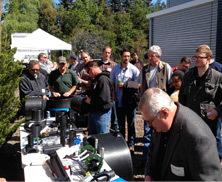 The Alliance conducts roadshow events and seminars, publishes articles and assists engineers and municipalities as they plan HDPE projects. HDPE has had a significant impact on our capital improvement program. We have been able to pipe burst our existing AC pipe with HDPE. It has really allowed us to implement more miles for a lower cost.